Culturally, the Neolithic period is generally divided into the ‘aceramic’ and ‘ceramic’ eras, with the change occurring with the introduction of pottery around 7,500 years ago [3, 14]. The microliths that characterised the previous Epipaleolithic period were no longer made in the Neolithic. Instead, stone arrowheads and mace heads were produced. These were not only used on animals, but possibly also on other humans . Trade networks expanded significantly during the Neolithic, and materials like obsidian and seashells were traded over long distances – obsidian tools sourced in Turkey have been found in Jordan and Iran, and the obsidian used at Çatalhöyük was obtained from a site 125 km away . Many late aceramic sites were abandoned in the ceramic era, and the following centuries of the late Neolithic are marked by small, short-lived settlements with little evidence of architecture. This cultural contrast may have been caused by over-exploitation of the environment as populations increased and it became no longer sustainable to live in such large farming communities [14, 18]. 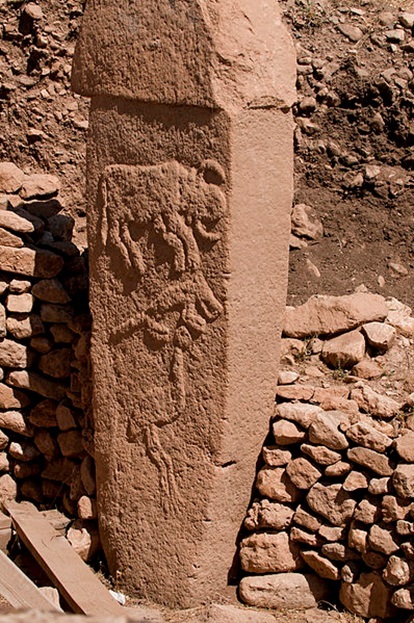 Neolithic people were already living in central Anatolia, or modern-day Turkey, by around 11,000 years ago [19, 20]. By 8,600 years ago, farming communities with similar cultural practices had been established in Northwestern Anatolia and the Anatolian west coast . One site in Northwestern Anatolia was Barcın Höyük, a small village on the shores of Lake Iznik, east of the modern-day city of Bursa . Barcın Höyük was likely continuously occupied from 8,600 – 8,000 years ago . Its people relied on farming cereals and pulses, and herding cattle and sheep . Early architecture indicates the existence of rectangular, timber buildings, aligned in a row with an open space in front. Objects found at this site include spoons, fish hooks and pendants made of bone, and beads crafted from stone and shell . 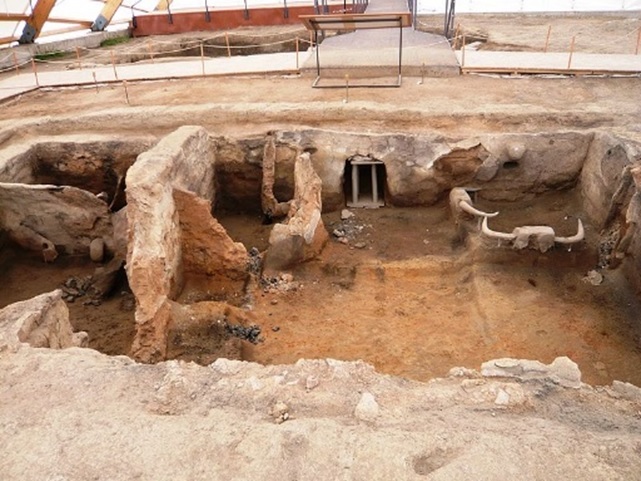 Over 100 burials have been found at Barcın Höyük, over two-thirds of which are infants. Adults and children were usually buried underneath the central open space, whilst infants were interred under the walls of houses . Individuals were buried in tightly flexed positions. 21 people from Barcın Höyük have been genetically sequenced, including five adults, one child and fifteen infants . It has long been argued that Neolithic cultural traditions, including farming, may have spread from Anatolia to Europe. Recent genetic analysis supports the theory that Anatolian farmers began migrating to Europe from around 8,400 years ago . Indeed, the people of Barcın Höyük were genetically similar to early European farmers from Germany, Hungary and Spain . Five of the males from Barcın Höyük carried Y-chromosome haplogroup G, also found in individuals from the nearby site of Menteşe Höyük . Haplogroup G is commonly found in Neolithic European samples, such as Ötzi the Tyrolean Iceman, a natural mummy from central Europe, but not in any pre-Neolithic European hunter-gatherers . This supports the theory that the first European farmers were descended from a common Anatolian population. In fact, farmers from Northwest Anatolia are thought to have contributed a large amount of genetic ancestry (up to 53%) to the genomes of Early Neolithic people from Hungary and Germany [25, 28, 29]. Seven individuals from Barcın Höyük carried mitochondrial haplogroup K1 . Haplogroup K is commonly found in Neolithic European farmers, but not in the Mesolithic hunter-gatherers that came before them . Since there is such a clear genetic distinction between Neolithic farmers and Mesolithic hunter-gatherers in Europe, it suggests the ancestors of these European farmers came from Anatolia. The people of Barcın Höyük do not resemble any present-day populations from the Near East . Like other communities from Anatolia, they are likely to be genetically most similar to modern Sardinians [25, 30]. Why is this? 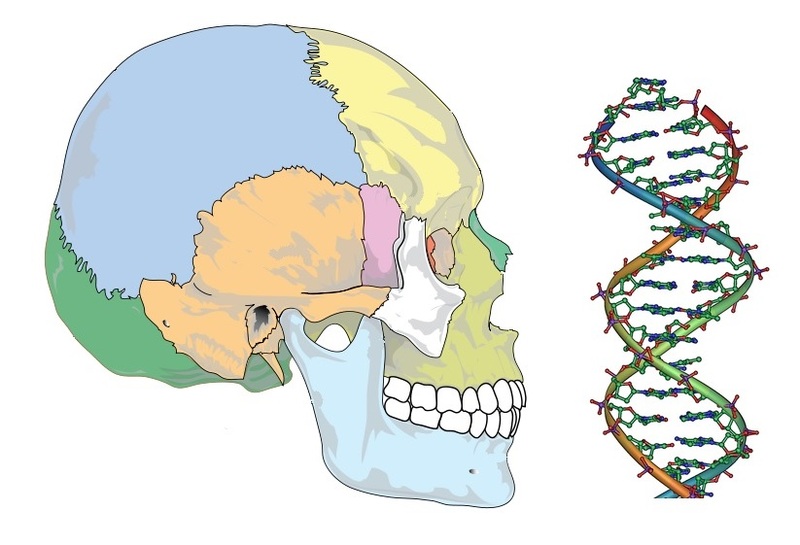 Well, analysis of Turkish DNA suggests the occurrence of several admixture events – the Neolithic farmers of Anatolia mixed and interbred with various different populations, most likely due to their location as the connecting point of Europe and Asia. This great intermixing of populations from Europe to Asia would have altered the DNA of current Turkish people. Meanwhile, the genetic similarity between Neolithic Anatolians and modern-day Sardinians could be explained as the result of Sardinia being relatively isolated from population movement.